My last column, written on the first of August was centred on our financial half year figures. Great figures for KLM, which give everyone lots of energy to perform well in the second half of the year. In the meantime we have published July’s traffic figures, and will present the transport figures for August coming Monday, 10 September. In the first half year, KLM has generated the highest passenger load factors compared to other network carriers. A great accomplishment. Since Schiphol has reached its limit in terms of aircraft movements though, KLM has little room left to grow. This subject, as well as the flight tax, is one of my top priorities for the conversations in The Hague with the Dutch government. Further – and safe – growth of KLM at Schiphol is of crucial importance to maintain our position on the world stage and to continue to successfully fulfil our essential role for The Netherlands in the areas of accessibility, economy and employment. Incredibly important for all of us! Last Monday after a very intense trajectory, KLM and the VNV (Dutch Airline Pilots Association) reached a renewed agreement about a new Collective Labour Agreement for pilots. The requested mediation has helped both parties to gain further mutual understanding and ultimately come together. I would like to express my appreciation for the negotiation teams representing the VNV and KLM, which persisted in searching for a solution together these past weeks and months. The arrangements from the earlier agreement in principle of 1 May 2018, which was not supported by the council of members of the VNV, remain in place. Meanwhile, in the French press we see figures being used of some 13% salary increase. This is not correct! Regarding salaries, nothing has changed compared to the initial agreement of May of a 4% increase for the new CLA timeframe until mid-2019. 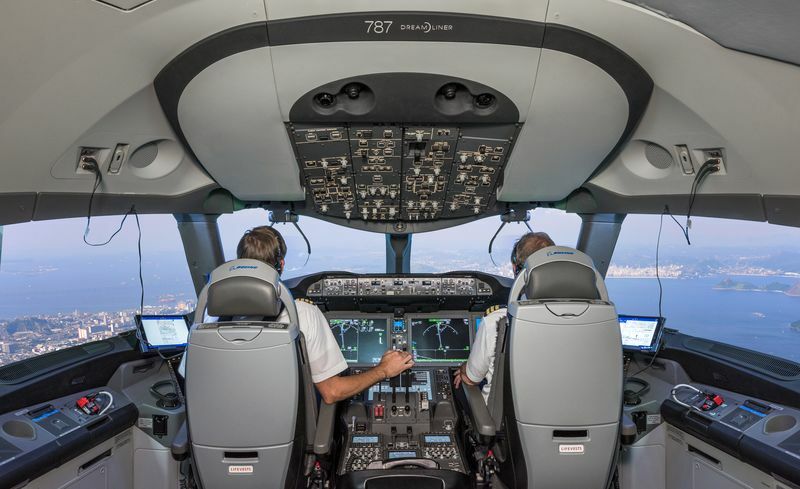 In addition, further elaboration was immediately given to the effective date of the work pressure reduction (for pilots), of which the financial impact is difficult to determine. Furthermore agreements have been reached on a new ICA-requests regulation (for pilots), and flexibility (for KLM). I am happy that there is once again an agreement and trust that it will be quickly ratified by the council of members. Now we can fully direct our energy towards other challenges around us..
On 16 August the AF-KL Board announced that Ben Smith has been selected and appointed as the new CEO of the AF-KL Group. I sincerely congratulate Ben Smith and naturally wish him lots of success. 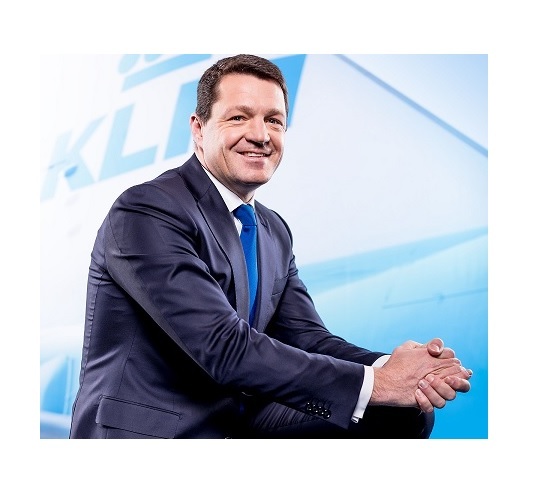 After the departure of Jean-Marc Janaillac last May, it’s good for the Group to have more clarity now on the new AF-KL CEO. I look forward to our cooperation and hope that he is successful in finding a solution to the lingering Collective Labour Agreement conflict at Air France. In the coming weeks Ben will actually begin, and will pay a visit to KLM as well. Last Friday I visited the colleagues from aircraft loading at the D-pier. I accompanied the team on the platform and saw the new Appron-tool “live” in action. This system integrates all the information of the loading and handling process. This is a tool which has been developed, with the assistance of experts in the Digital Studio of KLM, by people from the work floor and in close cooperation with various KLM-disciplines. As far as I’m concerned, “inspiring proof” that we are able to develop things together and with the in-house knowledge we have. I can see from my own experience at aircraft loading what a great step forward this is. 1. Meetings with our partner Jet Airways. Since they moved their operations from Brussels to Amsterdam, our partnership has really taken off. 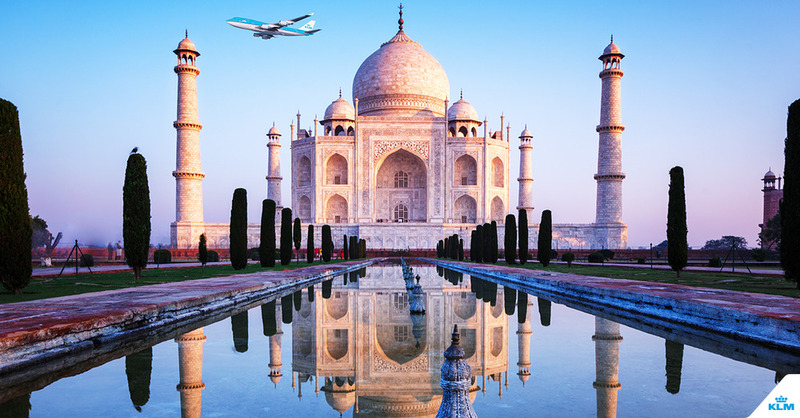 Each day in Amsterdam about 350 passengers on Jet Airways (9W) flights from Delhi, Mumbai and Bangalore transfer to the KLM and Delta network. In addition to this KLM could again resume its own flights to Mumbai in October 2017, after a 20 year absence. 2. Yesterday, I took part in the IATA conference about the Indian airline industry. The 50 month uninterrupted ‘double digit growth’ of the Indian market, provides chances but also puts pressure on the entire infrastructure. Next to this the financial situation for many Indian airlines is, despite the fast growth of the market, a challenge due to the higher oil prices amongst others. 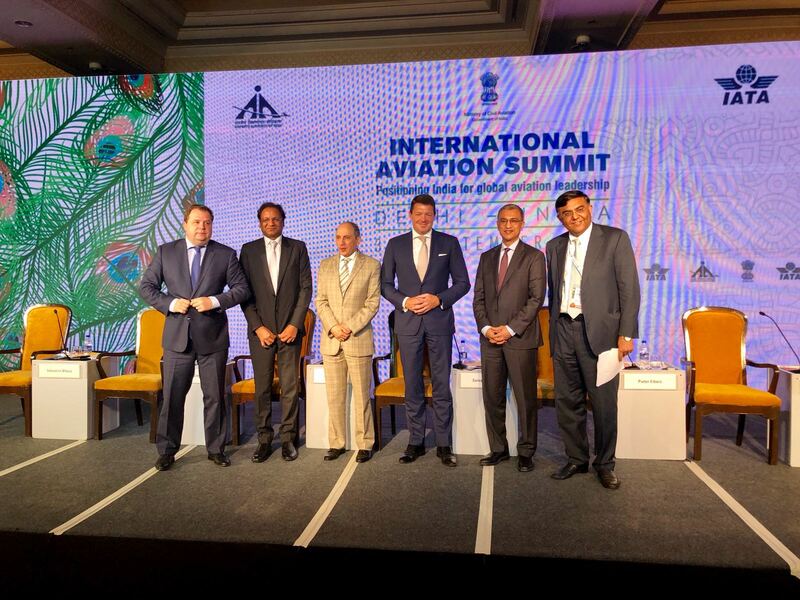 At the conference organised by IATA and the Indian authorities, these developments were discussed with many different parties in the industry. 3. Preceding the conference, I brought a visit to the AF-KL team at the office in Delhi. With 65 flights per week of AF-KL-9W to Amsterdam and Paris in the winter season, we have built an impressive air bridge between the Indian and European continents. 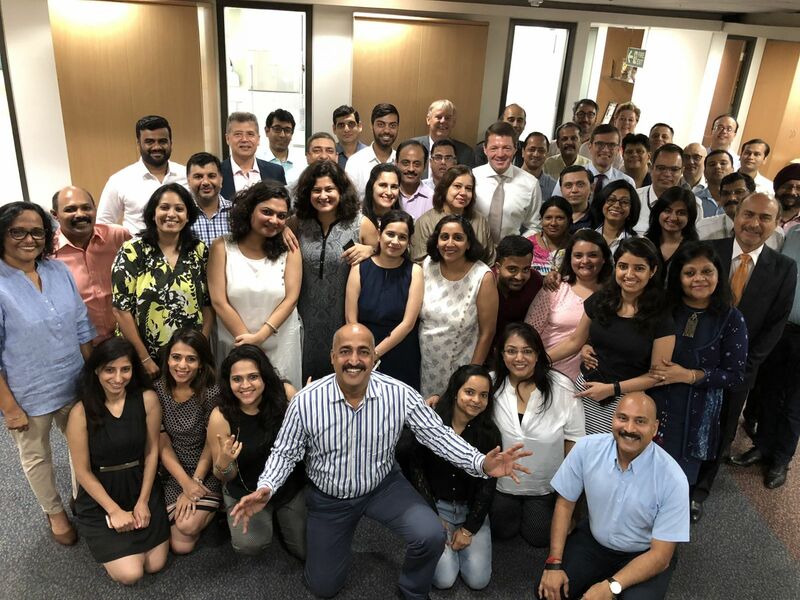 It was very inspiring to see and hear what the AF-KL team does and initiates in the Indian market. Every time I visit one of the branches, I get energized by the spirit and mutual cooperation. India is expected to be the third largest market in the world by 2026 and expectations are that by 2037, 520 million people will be travelling to, from and within India. That is three times the amount of passengers of today, which emphasises the importance of this market and the partnership with Jet Airways for AF-KL. 4. Today I concluded my trip in India with a visit to TCS – or Tata Consultancy Services – in Chennai. A remarkable company (20 billion turnover and 400,000 employees) with which we have an incredible 25 year cooperation. They helped us with digitizing of a multitude of IT solutions (such as mobile apps, bookings tools, KLM website, et cetera). Next to this, TCS has invested in many new technologies like blockchain, virtual reality, internet of things and artificial intelligence. 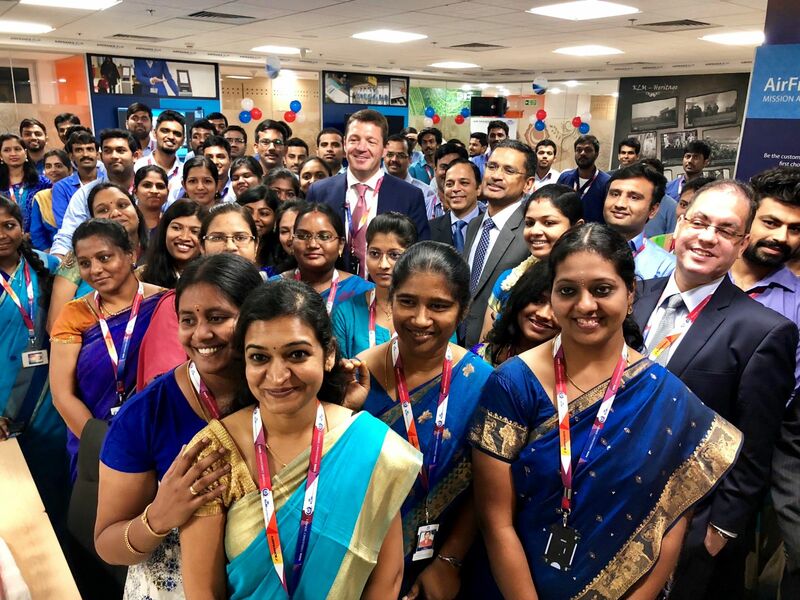 By connecting our own Digital Studio to TCS, the teams in India and Amsterdam can work together more effectively to integrate these modern technologies, which enables us to hold our leading position in this area. There is an endless amount of energy and passion in our organisation. This is visible in all initiatives that are carried out daily by the employees themselves whether it be in the Netherlands or at our outstations, and are often cross-departmental. I am not only very proud of all KLM employees because of this, but it also gives me a lot of energy. Energy to continue on the path we embarked upon!